HIRO Asian Kitchen is a chic restaurant in Downtown St. Louis where guests are treated to savory foods inspired by the flavors of Southeast Asia in a beautifully decorated space. Our brunch, lunch, and dinner menus feature a wide variety of classic and seasonal dishes with something for everyone. To enhance the experience we offer a selection of exquisite wine and cocktail pairings. We take pride in using the freshest authentic ingredients to produce as many of our sauces and marinades in-house as possible. Our dessert selections are made in-house daily. Our award-winning brunch is inspired by traditional recipes from Taiwan, Japan, China, Vietnam, Cambodia, Indonesia, Thailand, Malaysia and the islands of Southeast Asia. HIRO Asian Kitchen's savory interpretations of these traditional recipes are a one-of-a-kind brunch experience every Saturday and Sunday morning/afternoon. HIRO Asian Kitchen serves specialty crafted cocktails inspired by Southeast Asia as well as a collection of wine, spirits, and beer from around the world. Our wide variety of drinks includes perfect pairings for our dishes as well as refreshing options for a night out with friends. Buy your Hiro Gift Certificate between now and December 31st and receive a $25 gift card for yourself. No additional purchase necessary. Every $100 you spend, you get a $25 gift certificate for yourself. So, what are you waiting for? Give the Hiro fan in your life a gift of delicious Asian cuisine. Each dish showcases the flavors of Southeast Asia while achieving the savory experience of classic comfort food. Lunch at Hiro Asian Kitchen features light fare including soups, sandwiches, and salad options as well as classic Southeast Asian appetizers, such as our steamed dim sum platter and chicken pot stickers. Our full flavored lunch dishes are a midday treat for the senses and a great alternative to other, less healthy lunch options. Our lunch menu also includes many items that can be prepared quickly if you're in a hurry. Hiro Asian Kitchen's dinner features many savory beef, poultry, and seafood entrées prepared with traditional Southeast Asian traditional flavors. The dinner menu also includes many small plates for sharing, ramens and as well as many gluten-free/vegan options. Each of our entrées feature a suggested wine pairing that will take your Hiro dinner experience to the next level. Make sure to save room for our homemade seasonal desserts. Vietnamese iced coffee ice cream is a must, made specially by our friends at Clementine's Creamery. Our brunch is a unique experience that features many creative interpretations of classic Southeast Asian dishes, such as gua bao, as well as new twists on Western dishes, like our Hiro Slinger and sweet and savory waffles. Join us on Saturday for our Filipino Brunch and on Sunday's for all your favorite Hiro classic brunch items. Don't miss our champagne popsicle cocktails and our famous kimchi bloody mary. Bottomless mimosas, gluten-free, vegan and kids menu available. Make your reservation here. 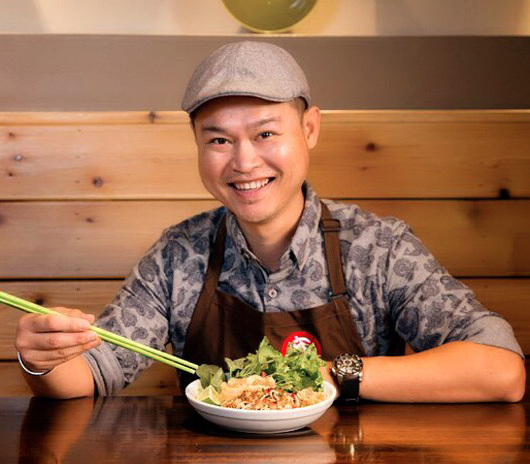 Chef Lee was born in Malaysia and now call St. Louis home. Specializes in Southeast Asian cuisine with a focus on comfort food. His unique Asian Fusion will tempt your palate and wow friends and family. Chef Lee has been actively involved in the St. Louis food scene with his unique catering, hyperlocal ingredients and many charities supported throughout the city. We accept reservations up to three months in advance for parties of up to 20 guests. Prefer to make your reservation via phone? You can make a reservation by calling (314) 241-4476 during normal business hours. Catering and Events are opportunities for us to work more closely with our guests, occasions for us to share our dedication to celebration in exciting new ways. Please email or call us for details. Call (314) 241-4476 to reserve hiro asian kitchen for your reception or party.